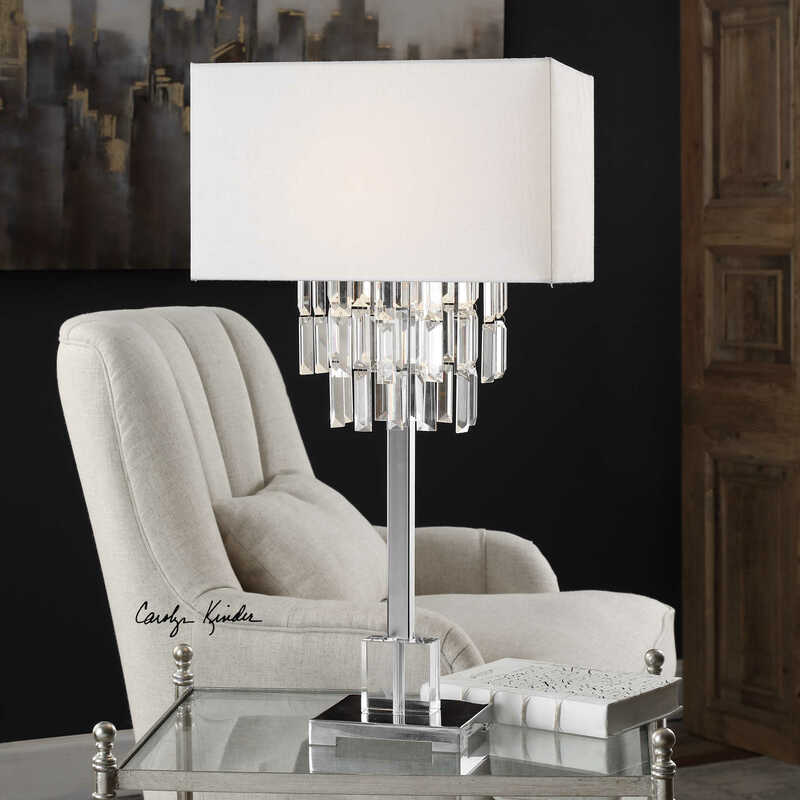 The Resana Polished Nickel Lamp features a sleek design with polished nickel-plated details, paired with a thick crystal block, showcasing beveled crystal hanging ornaments. The rectangle hardback shade is a white, linen fabric. Designed by Carolyn Kinder International. Available to trade professionals at Uttermost.com. For retail purchase Google search term “Carolyn Kinder Resana Polished Nickle Lamp”.